Keep out of reach of children. Those undergoing treatment for a medical condition should consult a physician before taking this supplement. PROMOTES GLUTATHIONE PRODUCTION. 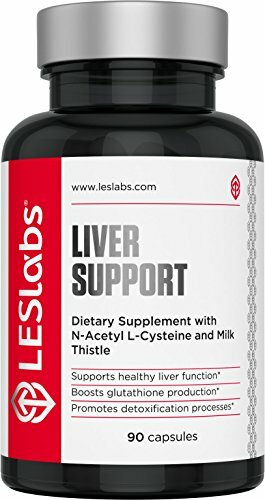 Liver support formula including N-Acetyl L-Cysteine to promote glutathione production. PROMOTES DETOXIFICATION PROCESSES. Natural ingredients including alpha lipoic acid and choline help support detoxification processes. 2 CAPSULES DAILY. Suggested use of 2 capsules daily or as directed by a physician for liver cleanse and liver support.